I like to call DevOps the "cloud enabler," because for all the IT shops that say they're moving to the cloud, there's only a handful that will actually be able to gain a competitive advantage from the flexibility and availability of the cloud. As 2017 gets under way, many businesses will find that their version of DevOps is pumping code through the development lifecycle fast, but gains in time-to-market aren't what they expected. Many IT professionals say this is because investment hasn't been made in improving IT infrastructure to support faster development, but how can that be if virtual machines (VMs) and cloud environments are making infrastructure an on-demand commodity? I think it's the middle ground between development and infrastructure - the database - that is stunting continuous delivery efforts. Virtualization makes it simple for anyone to add or subtract from their business' IT infrastructure, but it also encourages a dangerous amount of self-service development. When developers have the power to choose their own IaaS tools for building and testing, marrying data from those infrastructures back into production databases is made significantly more difficult, as developers aren't likely to have a full understanding of differences in configuration. In this year's "The Current State and Adoption of DevOps" report from Dell and Unisphere, IT professionals said their biggest concerns when planning a database release were a lack of understanding of schema and data changes across releases, and that data flows into and out of databases from many, many sources, making it difficult to know how changes will affect different applications. Given its flexibility, it's easy to see how the cloud can amplify these concerns by allowing more schema and data changes to happen faster, and by encouraging developers (and their apps) to collect and use more data. DevOps is the cloud enabler - and not the other way around - because when fully implemented, DevOps makes data management across many environments simpler. This is partly because of the DevOps mantra: automation wherever possible. Automation can be used to help manage data sent from cloud environments to production databases. Developers can still create environments in the cloud at will, but when they deploy to production, database automation tools can review configuration differences and make database changes quickly, and can even alert developers that they checked in code that could break the build. Those alerts hint at the biggest missing piece of today's DevOps: cultural changes. At the moment, many proclaimed DevOps teams still have a wall between dev and ops, and a third wall between those groups and the odd-man-out DBA. IT leaders need to make investments of time and money that encourage cross-functionality: developers need to learn more about databases as the support systems for their applications, and DBAs should want to learn about the way applications meet customer needs, so they can look for ways to improve efficiency of data usage. The Dell-Unisphere report says that "the devops philosophy is consistent with the mindset needed to capitalize on the opportunities presented by cloud computing." I would amend that to say DevOps is imperative to capitalizing on the cloud. To really see a competitive advantage from the cloud, data management must be automated to deal with increases in data collection, usage and in changes being made to databases. This is the only way DBAs can offload the mountain of manual tasks virtualization created for them. Then, by learning to collaborate and understand one another's' pain points, devs and DBAs can eliminate the risk of configuration drift or a bad change that will break the build, and will see their software development lifecycle accelerate even more. 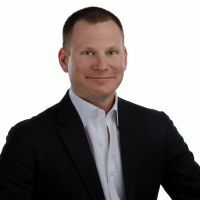 As Datical's chief technical officer, Robert Reeves advocates for customers and provides technical architecture leadership. Prior to co-founding Datical, Robert was a director at the Austin Technology Incubator where he provided entrepreneurial expertise to ATI member Robert co-founded Phurnace Software in 2005 after he invented and created the flagship product, Phurnace Deliver, which today provides middleware infrastructure management to multiple Fortune 500 companies. As CTO, he led technical evangelism efforts, product vision and large account technical sales efforts. After BMC Software acquired Phurnace in 2009, Robert served as chief architect and lead worldwide technical evangelist.